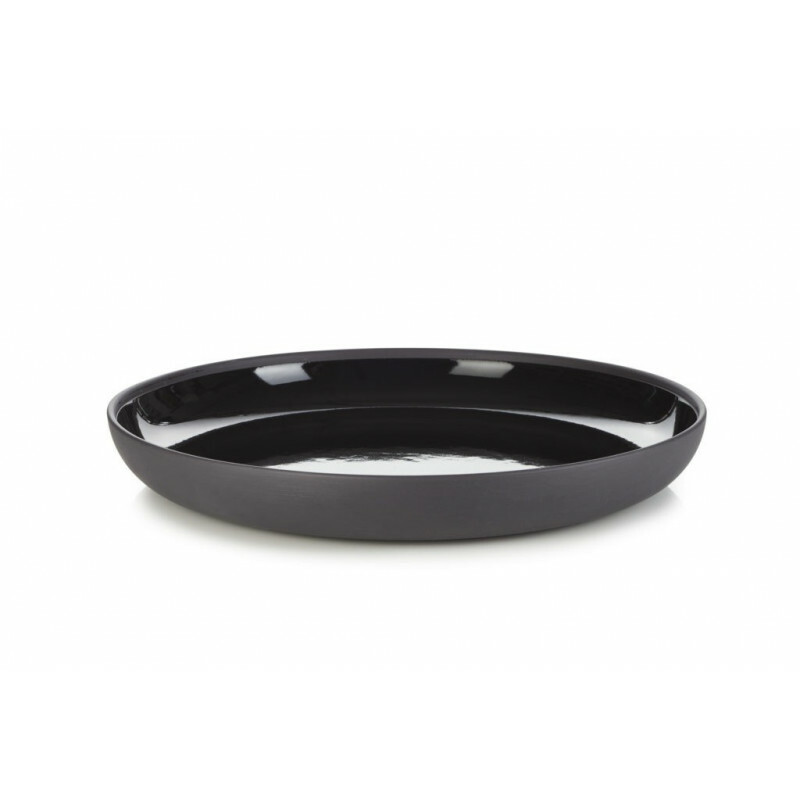 Gourmet solid plate made of black clay with a glossy white glaze on the top only. These plates are oven safe, microwave safe, dishwasher safe. Also available in white an red.